Akane Moriyama is a designer and artist based in Stockholm, Sweden. 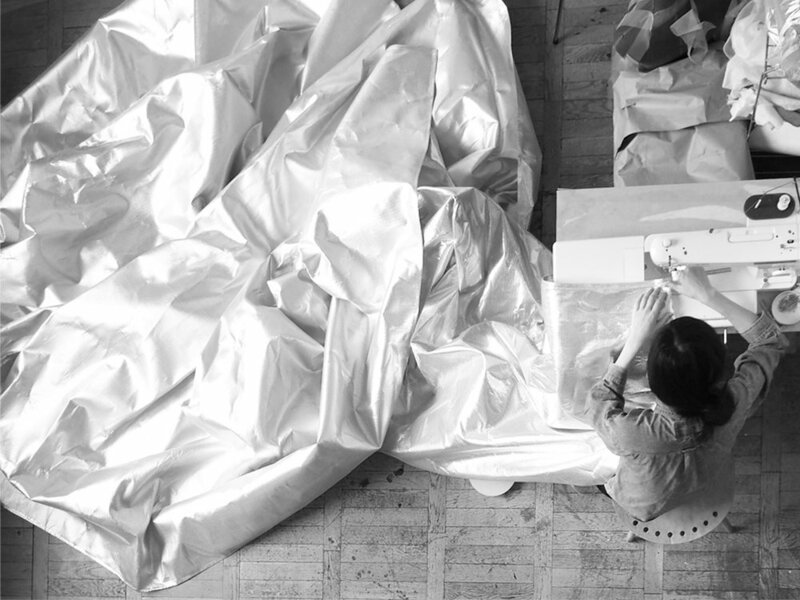 With her background of studying both architecture at Kyoto University of Technology in Japan and textile design at Konstfack University College of Arts, Crafts and Design in Sweden, Akane works with textiles for architecture and art projects. Since her first commission by architect Hideyuki Nakayama, "A Curtain for "House O" in 2009, Akane has been creating textiles for architecture projects in collaboration with various international architects. She has also been commissioned by museums and galleries such as Den Frie Centre of Contemporary Art in Copenhagen, Gallery Another Space, and Palazzo Bembo as a part of the Venice Architecture Biennale in 2014. She completed the large-scale art installation Cubic Prism in the courtyard of Goldsmith Hall in University of Texas, Austin as a winner of CURTAINS, a competition organized by the Center for American Architecture and Design. Akane has been a guest lecturer at the School of Architecture at Lund University since 2011 and has lectured at both The Swedish School of Textiles, University of Boras and Kyoto Institute University.